Fresh Meat Case Now Open! Great seasonal items are available now from the fresh meat case, including corned beef for St. Patrick’s Day and fresh hams, lamb and pork sausages for Easter. 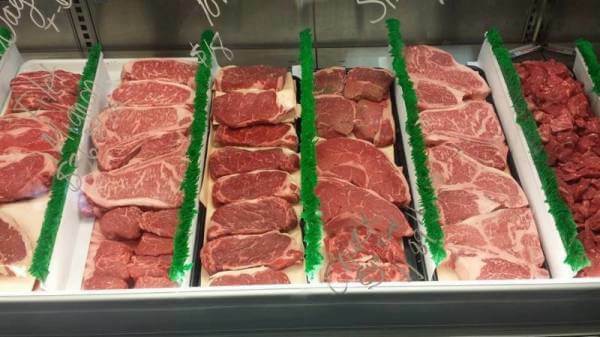 Find beautiful Wagyu steaks, fresh ground burger patties and other beef items cut to order by the on-site butcher! Always in stock: a wide variety of meat pies from Mountain Pie Co., including new flavors such as farmer’s delight (a beef and vegetable pot pie) and Tuscan chicken kale.